As teams prepare for Spring Training, the New York Mets and Philadelphia Phillies will have a number of Little League Baseball® World Series alums heading to Florida with the hopes of a return trip to Williamsport this August. With the newest acquisition of Todd Frazier to the Mets, Little League® International is excited for the anticipated return of four players to Williamsport this summer for the MLB Little League Classic. This year will also mark the 20th anniversary of Mr. Frazier’s Toms River East American team’s 1998 Little League Baseball World Series Championship. A member of the 1998 Little League Baseball World Series Championship team from Toms River (N.J.) East American Little League, Todd Frazier was nothing short of a hero in Williamsport. Throughout the series, Mr. Frazier hit a home run in every game he appeared in except for one. In the five games his team played, he went 9-for-15 with four home runs (including a grand slam), drove in 10 RBI, and scored 11 runs. In the Championship Game alone, he went 4-for-4 with a lead-off home run and was the winning pitcher. Following his standout Little League career, Mr. Frazier then went on to become the first LLBWS graduate to ever win the MLB Home Run Derby in 2015, the same year that his parents, Charlie and Joan, were named the George and Barbara Bush Little League Parents of the Year. One of the key contributors on the 2004 Northwest Region Championship team from Redmond (Wash.) North Little League, Mr. Conforto has had a standout career that includes one of the most exclusive accomplishments of any Little League graduates, the “World Series Slam.” Mr. Conforto is one of only three alumni to compete in the Little League Baseball, College, and Major League Baseball World Series, joining the ranks with Ed Vosberg and Jason Varitek in the honor. During his time in Williamsport, he ﬁnished the tournament tied for ﬁfth in batting average, going 6-for-10 from the plate in three games. In his ﬁrst game of the Little League Baseball World Series, he faced off against fellow current MLB outﬁelder, Randal Grichuk, who played in both the 2003 and 2004 World Series with Lamar National Little League from Richmond, Texas, and visited Williamsport last year for the inaugural MLB Little League Classic. A member of the 2006 Southwest Region Championship team from South Lake Charles (La.) Little League, Mr. Cecchini finished his time in Williamsport with two hits and a walk at the plate but was dominant on the mound. The starting pitcher in the team’s first game of the tournament, Mr. Cecchini was able to throw six shutout innings, allowing only one hit while striking out seven to help lead his team to a 1-0 victory in nine innings. A member of the 2006 West Region Championship team from Ahwatukee (Ariz.) Little League alongside with his twin brother, Sam, and his father, Thomas, as the manager, Scott Kingery made his mark in Williamsport as a left-side infielder. Looking back at his time in Little League as a 4-foot-9 shortstop, Mr. Kingery never let his size hold him back from making it to the big stage in Williamsport. Along with the four players returning, two other members of the Phillies organization have a connection to Williamsport. 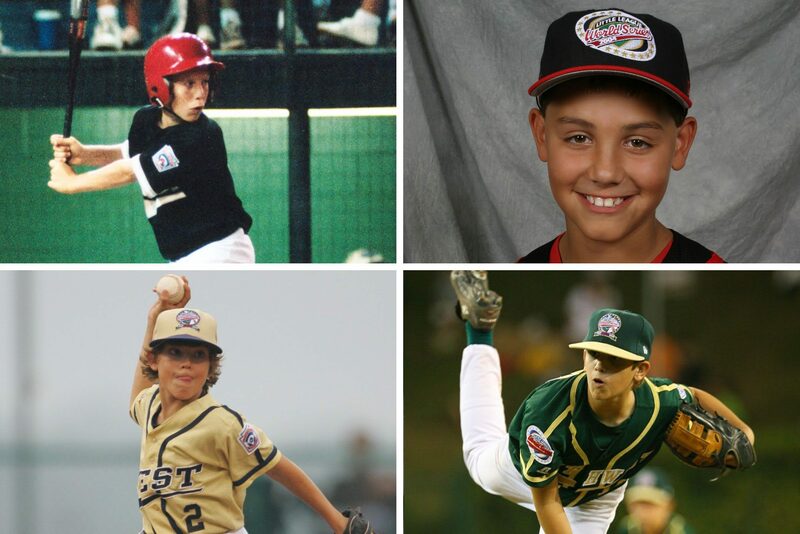 A graduate of American Little League in Brooklyn Center, Minn., Pat Neshek got to witness his brother play in the 1994 Little League Baseball World Series, missing out on the opportunity by just one year. Charlie Hayes, bench coach for the Philadelphia AAA Affiliate Lehigh Valley IronPigs, also made his mark in Williamsport, playing in the 1977 Little League Baseball World Series for Hub city Little League in Hattiesburg, Miss.